Want to develop a strong upper body? 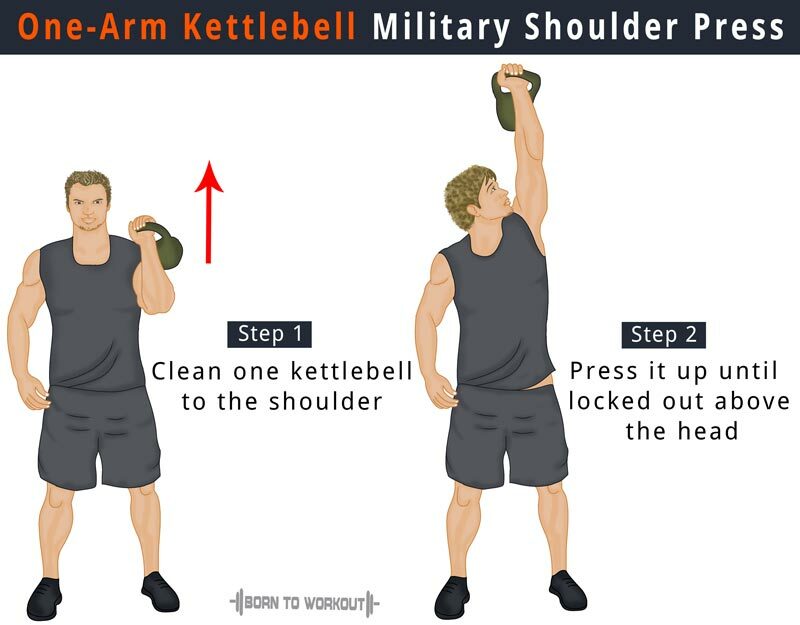 Then you need to do the kettlebell military press, an effective muscle-building workout that pushes the shoulders to the limits. This powerful compound exercise is beneficial since it trains several muscles simultaneously, working your deltoid muscles as well as stabilizing the torso and legs. 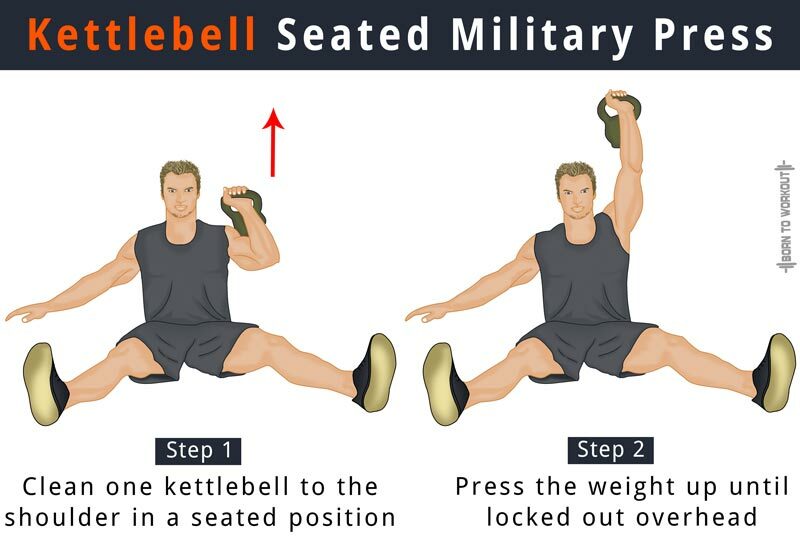 Clean a kettlebell by extending it through your legs and pulling it towards the shoulder. Rotate the wrist, making your palm face inward. Press it up until it is at the locked out position above the head. Lower the kettlebell to the shoulder under control. Do the desired number of reps by contracting your lat, abdominal, and gluteal muscles for additional strength and stability. 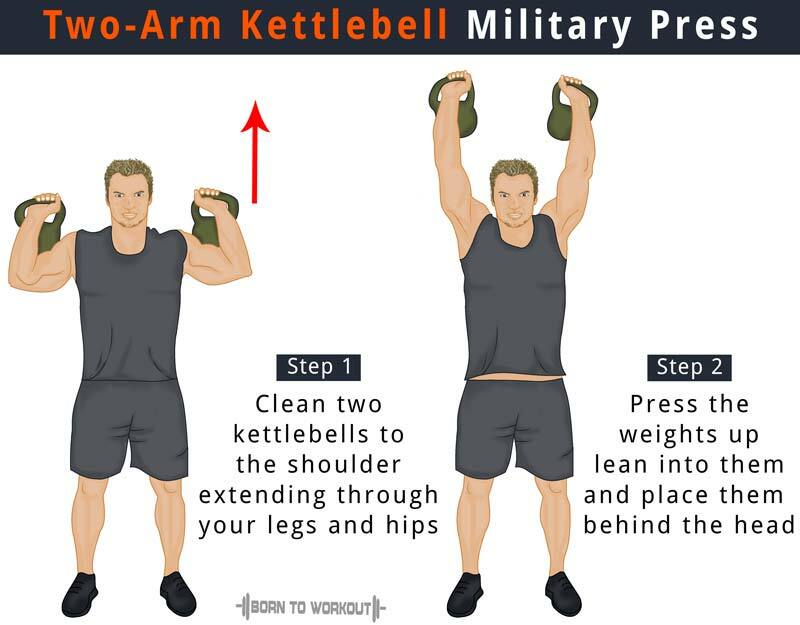 Grab two kettlebells and clean them to the shoulders. Rotate your wrists while swinging the weights towards the shoulders, as this helps in making your palms face forward. Drive the weights up, and lean into them as they pass your head. Make sure that the weights are placed behind the head. For added stability, contract your lats, abdominal, and gluts. After sitting on the floor, comfortably spread your legs to each side. Grab one kettlebell and clean it to the shoulder. This is your initial position. Use the momentum from shoulders to press the weight up until locked out overhead. Do the next repetition after returning to the initial position.